The Olive Ridley Project is actively fighting ghost nets in Pakistan through removal, education and awareness raising with the local community of fishers. Ghost gear by its very nature is a global problem. Gear that is used in Pakistan can float all the way down to the Maldives, entrapping animals and impacting livelihoods of fishers on its way. Rehman Goth, Pakistan. To facilitate a reduction of negative impacts from Ghost Gear by providing both education to the local community, disposal bins for fishers to responsibly leave end-of-life gear, and an alternative use for Ghost Gear. The project aims to end the ghost gear cycle whilst improving the quality of life amongst the fishing community of Rehman Goth. Community education and net collection. Olive Ridley Project will host educational talks in the community to reach fishers and local children and educate them about ghost fishing and ghost gear. Additionally, installing bins close to the ports, and close to commonly used dumping grounds near green turtle nesting sites. Self-sustaining community recycling project. Identify artisans within the Rehman Goth community that can be trained to reuse ghost gear to make jewellery. Storage of collected ghost gear - so far the Olive Ridley Project has collected 5000 bottles and will be transforming them into a storage container. Once filled with sand, these bottles form into bricks to create a container to store ghost gear. This innovative storage solutions are a massive improvement, as before there was a risk the gear could end up back in the ocean which contributed to the issue. This eye-catching container will also be used as a disposal site for fishers to bring their end of life gear. 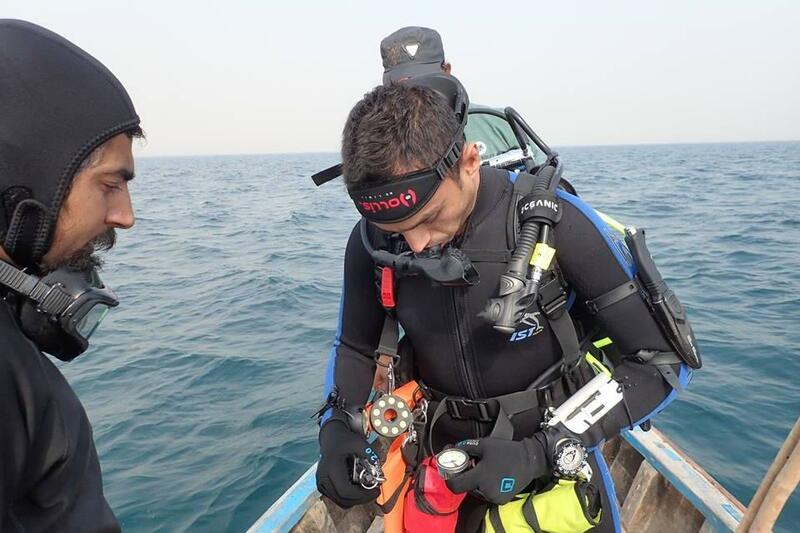 Gear collected – Martin Stelfox, Olive Ridley Project Founder, has trained local divers on how to recover gear correctly and safely. The divers have had several successful dives recovering a 550KG of gear so far. Local community engagement - Local and well respected fisher Asif has been taught about the impacts of ghost gear and has been relaying these messages members of the community. From this there has been active removal of nets by fishers. Artisanal work - Seher Mirza has been meeting and working with local crafts women. These women have been learning how to use ghost gear, a previous un-used commodity, in their crafts. The products produced will then be sold and the money goes back into the community.